Many younger people dedicate one day a week to cleaning. They may sweep, vacuum, do laundry, clean the windows and change the sheets every Sunday, for example. For a senior, this is a lot of work and requires copious amounts of energy. Instead of wearing him- or herself out, encourage your senior friend or relative to clean one room each day. This greatly cuts down on the time and effort required to tackle an entire house or apartment. While a rag and some white vinegar will do the trick for most cleaning tasks, these options are limiting. Seniors should look into tools that can make all cleaning tasks easier. For instance, dusting is much faster and less painful on arthritic bodies with the help of extendable dusting wands. They can better reach high and hard-to-get-to places without a lot of maneuverability and flexibility. Some cleaning solutions are better than others, too. Disinfectant wipes are great for the bathroom and quick messes because your loved one won't have to add laundering rags to his or her to-do list. Also, look for a vacuum that is lightweight and easily transfers from one floor to the next to minimize stress and reduce the potential for safety issues. 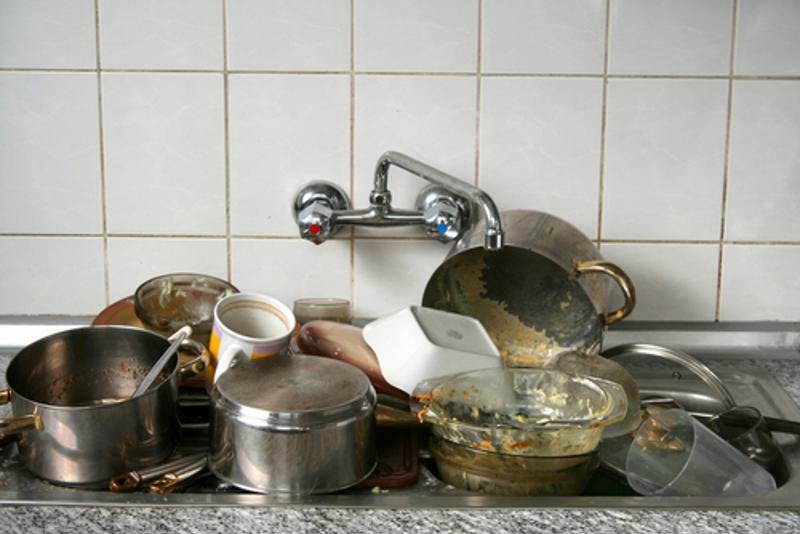 If your loved one cooks, encourage him or her to clean the dishes and other messes as they occur. The longer a stain sits, the more difficult it is to clean. From wine spilled on the carpet to spaghetti sauce splotches on the counter, these little messes can become lasting marks if they aren't wiped up immediately. Seniors can maintain a healthier apartment, especially in the kitchen and bathroom, by addressing messes as they occur. Keep cleaning wipes on hand for quick issues and also use a plastic brush with a large, rubber handle for easy gripping. Try to avoid using harsh-smelling chemicals like bleach because these can be unhealthy for the lungs, especially for individuals who have asthma or breathing trouble. For seniors, cleaning up as they go is a great way to avoid having to dedicate a full day to this task and will help keep their homes mess-free. Seniors may not be able to tackle cleaning themselves. This calls for weekly assistance from friends or loved ones who can pop in to take care of some of the harder tasks. Offer to do the senior's laundry, vacuum and do the dishes. Or, consider hiring a cleaning company if the individual lives at home. Many senior living communities offer additional services like cleaning help where someone comes in once or twice a week to clean the floor, kitchen, bathroom and do laundry. This is just one of the many advantages for seniors who live in senior communities.